The Florida Everglades is one of the most extensive and complex wetland ecosystems in the world. It is really a long, shallow river nearly 50 miles wide and more than 100 miles long. Everglades National Park is sometimes described as the “River of Grass”. It is home to a multitude of plants, animals, and birds that live in habitats not found anywhere else in North America. Although the Everglades is primarily a fresh-water ecosystem, it encompasses nearly 485,000 acres of the salty Florida Bay and Gulf of Mexico. The average depth in this area of the Everglades is only 4-5 feet and is only 9 feet at its deepest point. The bay is cut off from the ocean by sandbars, dense mangrove islands, and the Florida Keys, and therefore has limited water circulation. Everglades City, the Gulf Coast Entrance to Everglades National Park, is a short 40 minute drive from Marco Island. 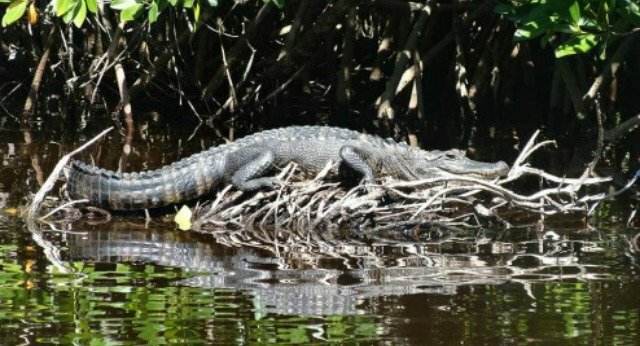 From Everglades City, canoe and kayak tours take visitors close to manatee, dolphin, sea turtles, bald eagles, osprey, heron, egret and spoonbills. Fishing tours, back country excursions and hiking through the Big Cypress National Preserve are also popular for this area. 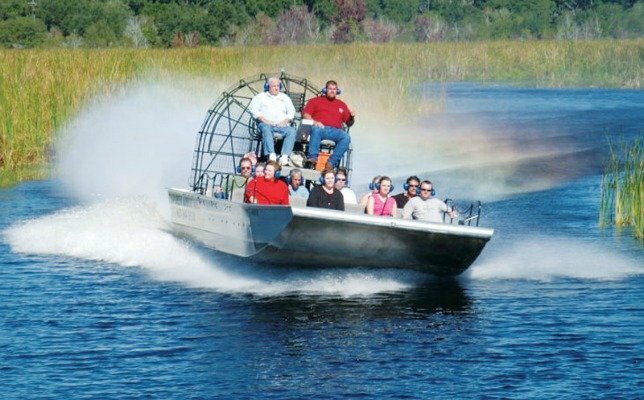 The thrill of riding through the shallow waters of Florida’s Everglades on an airboat is totally unique. Both kids and adults enjoy the ride at high speeds through the narrow channels between the mangroves. 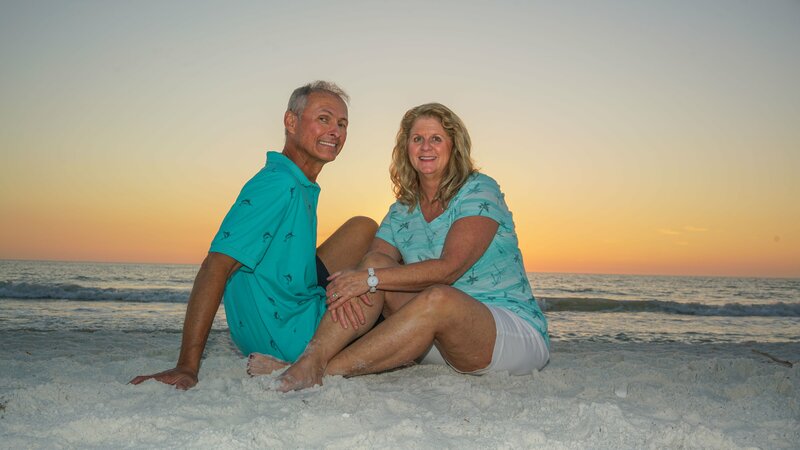 It is both fun and educational with informative local guides, amazing scenery and close up encounters with alligators, turtles, raccoons, and many rare birds. The Big Cypress bend boardwalk on US41 in Fakahatchee Strand State Preserve has a 3,200 foot long boardwalk leading to an elevated observation platform overlooking a gator hole. The Everglades have a mysterious beauty of their own.